LaunchBoard apps is an important and free to use app for your device. All Android phone users have Google built-in-keyboard in his device. The LaunchBoard apps allows you to quickly launch the apps. It is an efficient method to quickly finding and launching the apps. LaunchBoard app is free to use app which is downloaded from Google Play Store. Lot of person love to download different apps in his Android phone. After downloading the large amount of apps they are looking the apps icon for run the app. Many Android phone users want to know any quick way to launch the app without spending additional time. The LaunchBoard app fulfil your requirement. If you want to looking a quick way to finding and launching the apps then you can use this app at your device. 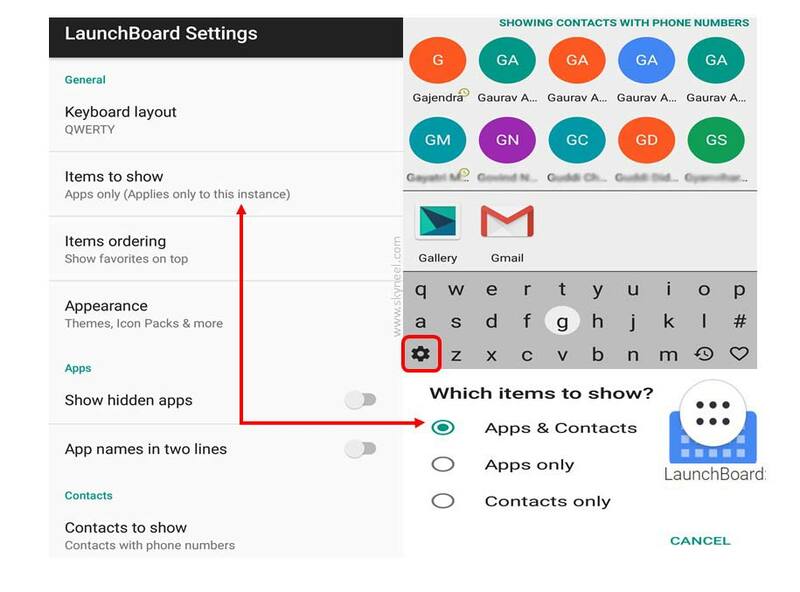 You can download free to use LaunchBoard app from Google Play Store at your device. This app icon placed at your phone home screen from which you can quickly launch the required app as per your need. The LaunchBoard app gives you best experience which make easy to locate any app or contact quickly. Step 1: Open Google Play Store and locate Download App. Step 2: Download LaunchBoard app at your device. This app occupied up to 4.05 MB space at your device. Step 3: After finish the installation open this app from your home screen to quickly locate and launch any app or contact. Step 4: If you want to open all those apps which name starts from “C” like Contact, Camera, Calendar, Calculator, Clock etc. Just press C in LaunchBoard app window which active all the related apps at home screen of your app. Now tap the required icon to launch the required app. Step 5: You can also change settings of this app from settings icon which is located at left bottom corner in this app window. If you want to show apps and contact both then tap on the “Items to show” option in LaunchBoard Settings window. Now Choose “Apps & Contacts” option at the place of “Apps only”. You can also show hidden apps and if any app have bigger name then show the app name in two lines at the place of single line. You must have to use LaunchBoard app at your device which gives you great experience. If you have any query or suggestion regarding this article then fell free and send them via comment box.